With around 80 to 90 per cent of home buyers now using the internet to research their future property, search marketing is a non-negotiable tool if you want to attract your market effectively. Establishing an online presence and pulling in those home buyers is made possible by employing the correct online tactics and adopting a collaborative strategy of both paid and earned methods, namely search engine optimisation and paid search. The online world is evolving and developing constantly, as are search engines and the way they rank your business. If you’ve got a question about anything, the chances are that your first port of call is the internet, and this is just as true when looking for property as it is for anything else. 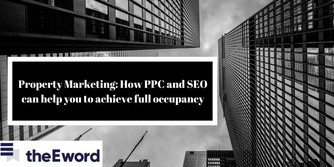 In our Ultimate Guide to Online Property Marketing, we want to show you how to employ these online tactics to climb both search engine listings and the property ladder – take a peek at our ‘to-do list’ for mastering SEO and PPC. 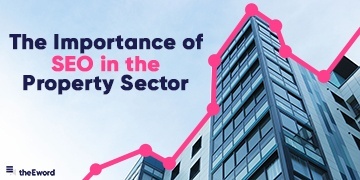 FOR ACTIONABLE DIGITAL MARKETING TIPS THAT WILL INCREASE YOUR DEVELOPMENT’S OCCUPANCY, DOWNLOAD OUR FREE ‘GUIDE TITLE’ HERE TODAY. Dubbed the most important aspect of SEO – keyword research is essential in order for your website to even get a look in among the organic results on a search page. Until you know which words are the most important and relevant to your audience and website, it’s impossible to optimise your pages and draw in quality traffic. A less competitive, long-tail search term will give you a higher chance of ranking highly in Google. For example: ‘residential property management company Stockport’ would be much more effective than ‘residential property’ for a Stockport-based company. You need to prove to the search engine that your website is relevant and users are reading and sharing the content – which can be done through linking other websites to you. Ensure that link building is done to the wider site, not just to the homepage, as this will demonstrate that your entire site content is reliable. 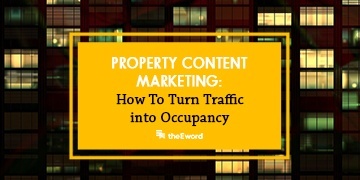 This one sounds obvious but populating your website with interesting, relevant content is key. Keep your finger on the pulse with industry news and stats, taking time to read what’s hot in the sector and how buyer behaviours are changing. Fuelling your team with up-to-the-minute information will stand them in good stead to produce content that would-be customers will want – and need – to read. It may be difficult to rank freely for big search terms, such as ‘new build in Manchester’, so having a presence on these types of searches using PPC is just as important as optimising organic search. Know the areas you want to target, the types of property you want to sell and the type of buyer you want to attract – they could be first time buyers, investors, students or young professionals, for example. You don’t want to be paying for traffic that has nothing to do with your business, so revisit keywords and continuously refine it based on results. Incorporating a mobile element into your wider marketing strategy is essential, and this includes PPC campaigns. For instance, mobile conversion is extremely important and if your ad is not optimised for mobile, you could risk missing out on valuable leads. Carefully consider the user experience and use ad extensions to simplify the process of reaching your website. They show extra information about your business and include site links and an option to call you directly – perfect for time-poor home buyers who want to speak to someone quickly. We're experts in property marketing and would love to help you out. 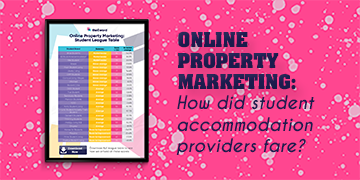 If you’d like to in depth analysis as to how PPC and SEO can help to drive leads and conversions on your site, make sure that you download our Ultimate Guide to Online Property Marketing for more information.